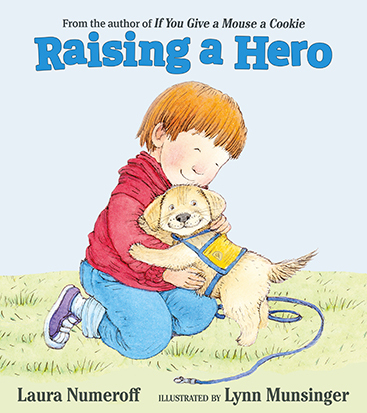 Laura Numeroff, bestselling children’s book author of the “If You Give a Mouse a Cookie” series, is coming to the Bay Area for signings of her new book, “Raising a Hero.” Inspired by Santa Rosa based non-profit Canine Companions for Independence®, “Raising a Hero” follows Max, a puppy being raised to become an assistance dog for someone with a disability. A portion of the sale of each copy of the book benefits Canine Companions. Numeroff will be joined by Canine Companions graduates, assistance dogs, puppy raisers and puppies. These events are free and open to the public. Mention “Canine Companions” at check out at these Barnes & Noble stores from March 10-12 or enter bookfair ID 12096392 online at check out at barnesandnoble.com from March 10-17, and a portion of your purchase will benefit Canine Companions!